TEL AVIV – The U.S. on Tuesday said it was “disappointed” that Poland’s President Andrzej Duda authorized a bill that would make it illegal to blame Poland for any Holocaust-related crimes. 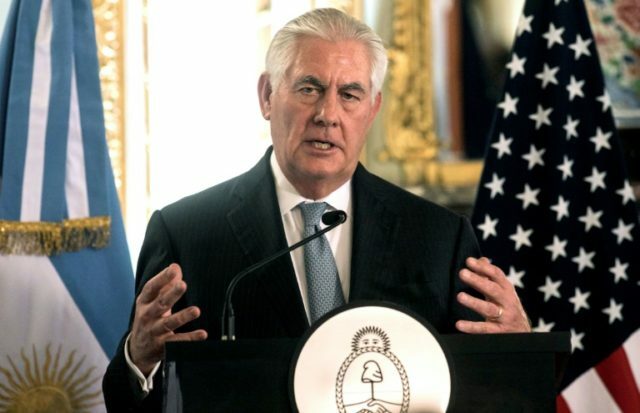 “The United States is disappointed that the president of Poland has signed legislation that would impose criminal penalties for attributing Nazi crimes to the Polish state,” Secretary of State Rex Tillerson said in a statement. His comments follow a warning by the State Department last week that such legislation could result in “repercussions” for Poland’s relationship with the U.S. The Polish president said the law will be presented before Poland’s Constitutional Tribunal to decide whether or not it infringes on freedom of speech. While Tillerson acknowledged that terms like “Polish death camps” were “painful and misleading,” he said basic freedoms must be still be protected. “We believe that open debate, scholarship and education are the best means of countering misleading speech,” he said. The bill prescribes penalties for those who blame Poles as a nation for crimes committed by Nazi Germany during World War II. Duda chose to authorize the bill and not return it to parliament for further debate or amendments. However, he has yet to issue a final signature. As of yet, there has been no word on when he will finally ratify it but sources close to the matter say it will happen very soon. Duda also said he would also request Poland’s constitutional court to evaluate the bill, leaving the door open for amendments. The controversial bill stipulates that any individual who accuses Poland of being responsible for “crimes against peace and humanity” will be subject to a fine or prison sentence.